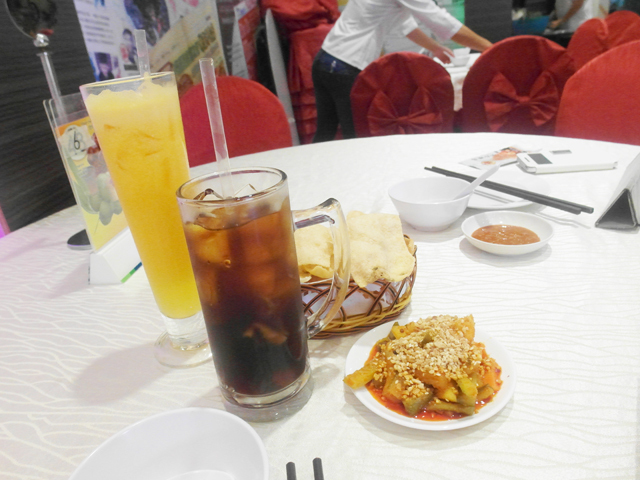 Some time back, bf finally brought me to eat crab! Contrary to popular belief that I love chicken, I actually love crabs more! 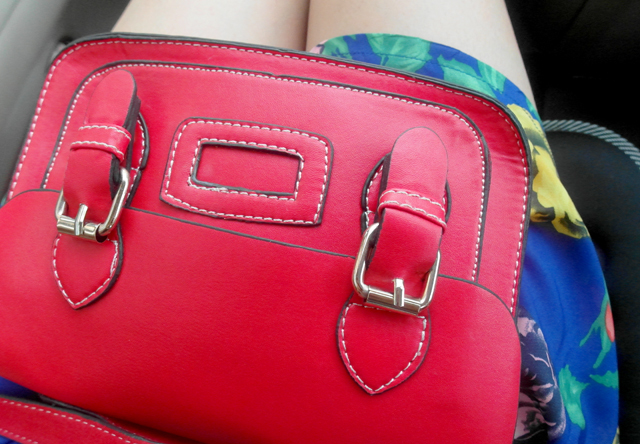 Brought out this red sling bag for the first time! Bought it brand new at $5! One of my best buys ever. The color makes it so difficult to match my normal dresses though. Dress of the day was this blue floral piece. Love the bold color! Don't really fancy the collar part though, looking to alter it away! 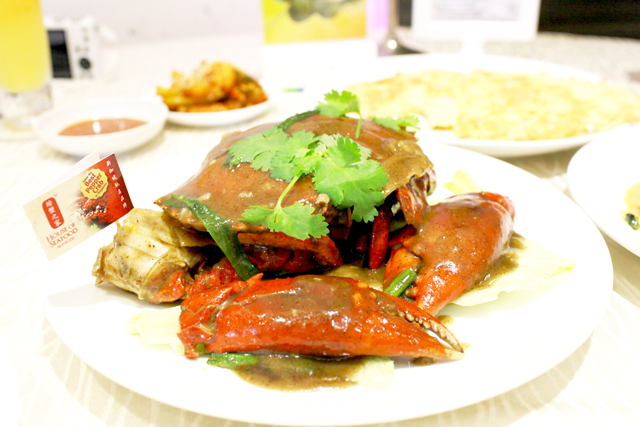 We had crabs at House of Seafood~ My first time there! 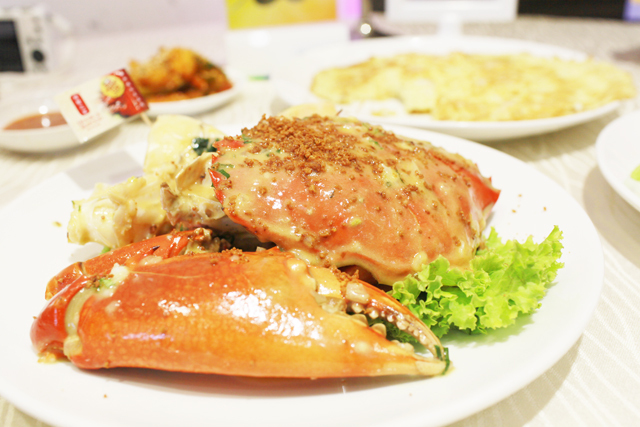 We ordered two plates of crabs - Golden Creamy - bf's choice! & White Pepper, which is usually my first choice. However, the white pepper is wetter here than the usual ones I eat elsewhere. But still not bad! The crabs are fresh and quite fleshy. Sambal Seafood Fried Rice. 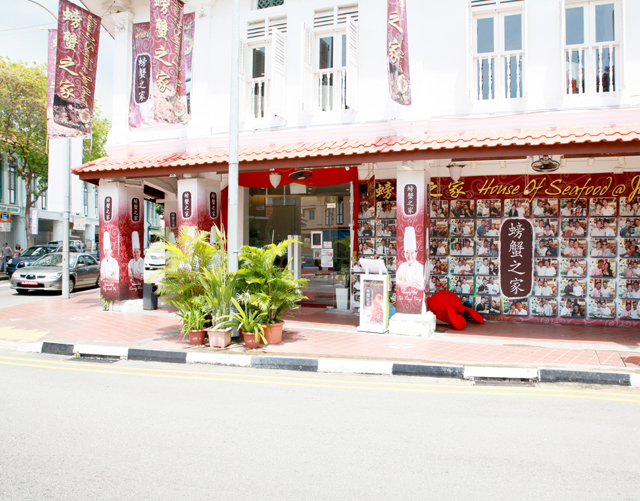 The Sambal Fried Rice and Seafood Fried Rice on their menu is the same price. However, I wanted Sambal Seafood Fried Rice so I asked if they are able to do that for me since it's just adding Sambal chili to the seafood fried rice. In the end, they told me they will charge me $2 to add Seafood to my order of Sambal Fried Rice...... Was tempted to ask them how much will they charge me to add Sambal to my order of Seafood Fried Rice but didn't. 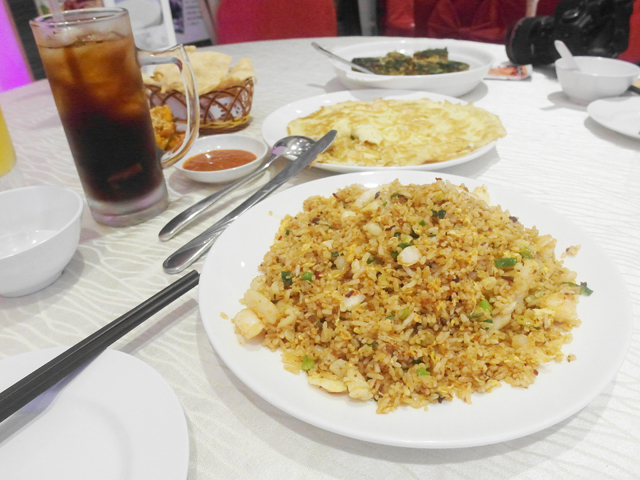 But the Sambal Seafood Fried Rice was really yummy and awesome! 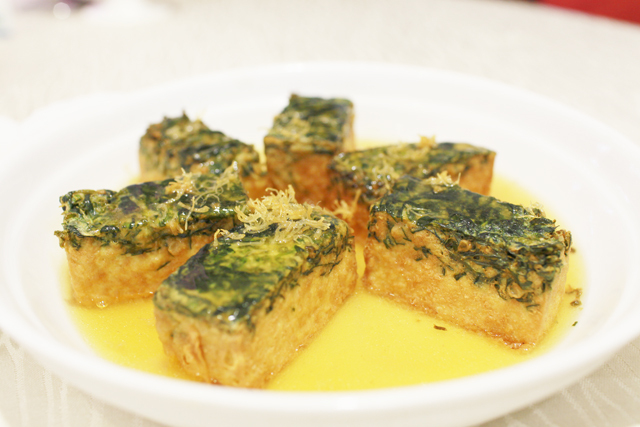 Craving for it right now! 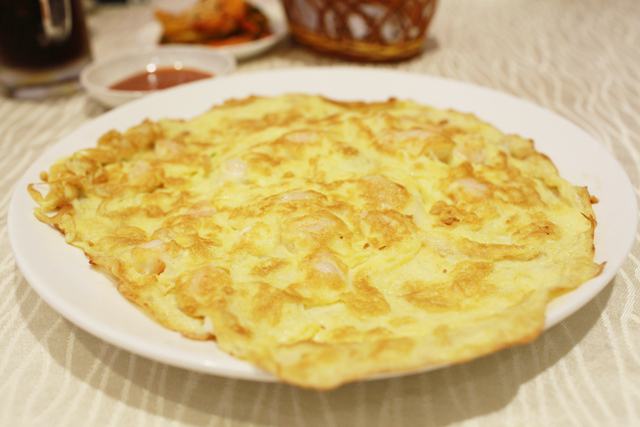 We also ordered Prawn Omelette. I guess we ordered a little too much for 2 pax ya? Haha.